What are Wholesale Diamonds and Where Can They be Found in Houston? When shopping for diamonds, price is a primary factor. Many premier manufacturers offer a variety of purchasing options, and many Houston outlets offer great prices, large selections and premium discounts. Understanding wholesale mechanics can reduce out-of-pocket expenses, and it can increase one’s chances of obtaining fantastic deals. 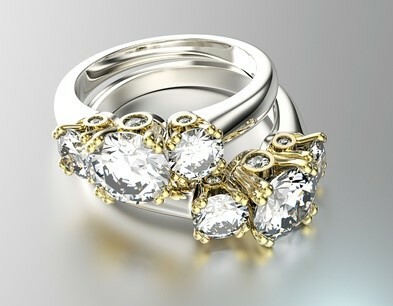 Wholesale diamonds are synonymous with regular diamonds. However, wholesale diamonds are offered at decreased prices, as a wholesale diamond vendor offers them in-lieu of a “middleman”. Many wholesale providers intend to deliver high-quality merchandise without high prices. As advertised, promotional goods may be purchased at low prices, while preserving quality. Many Houston outlets offer huge wholesale diamond selections, and their personnel are often field experts. Most questions may be answered without manager contact, as each wholesale associate operates on a unilateral basis: Each employee contains expert knowledge. Inter-Continental Jewelers offers Houston the finest-quality wholesale diamonds available. Inter-Continental Jewlers' stock is delivered from across the world—delivering customers highly renowned gems. With over 35 years of experience, and spanning from loose diamonds and manufactured selections, Inter-Continental Jewelers has reached fame for their rigorous quality control and high customer satisfaction. Offering great diamond ring, bracelet, earring and cuff selections, Inter-Continental Jewelers is always bustling with great selections. Certified loose diamonds are always supported, and their products are available in many cuts, shapes, and sizes. Inter-Continental Jewelers’ selection spans across many precious, colorful gemstones, and their customizable engagement rings are perfect for any family, any occasion and any budget.